«وَكُلُّكُمْ مَسؤولٌ عَنْ رَعِيَّتِهِ» “Every one of you is a shepherd and is responsible for his flock”, upon this was the life of our Messenger ﷺ, and upon this he raised his companions: ruling by the Law of Allah and executing His rulings. The Caliph in the State of Islam is responsible for his flock, governing them fairly and providing for them security and reassurance. Looking after their affairs and ensuring that their basic needs and necessities of life are met. Health care is one of these necessities that the Caliph must provide to every member of his flock. The State guarantees mental health care through its implementation of these provisions and the focus of Islamic concepts and feelings within the members of its community through the educational curricula and media, thus pure and clear concepts are spread, creating an atmosphere of faith that inspires piety, fear of Allah and striving for His satisfaction within the hearts of individuals. The State must provide basic needs, care and preserve the safety of individuals by protecting the healthy and treating the sick and restoring their health to the best of its ability… Working hard through its unique Islamic economic system to provide those needs because if these are not satisfied or met, it will impact the health of individuals, causing them to become anxious or depressed…! Islam has paid great attention to health care and has caused a revolutionary qualitative shift from the world of magic, witchcraft and myth to the world of science and experimentation, which has contributed to the advancement of medicine. Which has contributed to the amazingly rapid progress of the science of medicine, the ideas of Islam and its provisions had a great impact on the development of the most important sound and correct pillars of health care… The Messenger of Allah established through his words and actions the basis of health and medical care. The first century witnessed the establishment of Bimaristan (i.e. hospital) and various clinics of various types. This was regarded as a bright point in the history of health and medical care in the Islamic civilization. “In conclusion, the Prophet’s health and medical directives represent the main pillars of the medical and health renaissance witnessed by the world later. These directives are considered the spring from which doctors have consumed generation after generation, and which served as the keys that facilitated the research and investigation in the health and medical fields, as science proves every day the greatness of these directives and their scientific credibility” (Health and Medical Care in the First Century AH: Thesis of Professor Asma Yousef Ahmed Al Diab). The Ummah of Islam was a pioneer in the field of health and medicine, leading the world with the guidance of Allah and His Messenger… It has achieved great scientific progress that was conveyed by the rest of the nations, and scientists and doctors have emerged from the Ummah, excelling in the building of hospitals and equipping them. “Islam lead the whole world in creating good hospitals and supplying them with their needs. An example to this is that the Bimaristan (i.e. hospital) established by Nur al-Din in Damascus in 1160, lasted for three centuries, treating patients for free and supplying them with medicine without cost. Historians say that it was like a flame that kept glowing for 267 years”. (Will Durant: American philosopher, historian and writer). Remedy is an obliged expense imposed on Baytul-Mal (State Treasury), the State must “provide all health services free of charge to all”. (Article 164 of the Draft Constitution of the Khilafah State, by Hizb ut Tahrir), and although it provides care free of charge, but the state did not prevent doctors from working and being paid for their job, «احْتَجَمَ رَسُولُ اللَّهِ صلى الله عليه وسلم حَجَمَهُ أَبُو طَيْبَةَ، وَأَعْطَاهُ صَاعَيْنِ مِنْ طَعَامٍ وَكَلَّمَ مَوَالِيَهُ فَخَفَّفُوا عَنْهُ» “The Messenger of Allah was treated with cupping by Abu Tayyibah. He commanded that he should be given two measures of food, and he spoke with his tax-collectors, who reduced his taxes.” (Extracted by Bukhari). Hijama (cupping) is a medicine that is used as a remedy, and being paid for it is an example of the permissibility of paying for doctors, therefore, it is not permitted for the State to prevent “the hiring of doctors or the selling of medicine” (Article 164 of the Draft Constitution of the Khilafah State). وَأَحَلَّ اللَّهُ الْبَيْعَ «Allah has made buying and selling lawful” (Al-Baqara: 275), so one of the elements of selling is that ownership is transferred from the seller to the buyer. Therefore, after the seller sells the medicine, it becomes the property of the person who bought it, and he may dispose of it by selling or manufacturing … It is not permissible to have copyrights or reserved (trademark) patent, but they are permissible rights, conditions that forbid the permissible are invalid conditions. Tirmidhi reported: «وَالْمُسْلِمُونَ عَلَى شُرُوطِهِمْ إِلاَّ شَرْطاً حَرَّمَ حَلَالاً أَوْ أَحَلَّ حَرَاماً» “The Muslims are bound by their conditions, except a condition that forbids what is permissible or permits what is forbidden.” The Caliphate State seeks to achieve values in a balanced way so that prosperity can be achieved for all, it does not differentiate between poor and rich, and works to provide all the basic needs of each member of its society and enable him to cover even his luxurious needs: it is a State of care, satisfaction, and luxury…! The Khilafah State also establishes scientific laboratories related to all matters of life, prepare libraries and other means of attaining knowledge outside of schools and universities, in order to enable those who wish to continue the invention, discovery and research in all sciences, knowledge and so on, so that the Ummah has hardworking, creative and inventor crowd. It also encourages its citizens to establish scientific laboratories: “All members of society have the right to establish scientific laboratories related to all matters of life, and the State itself should establish such laboratories.” (Article 162 of the Draft Constitution). “Individuals are prohibited from owning laboratories that produce material, that are if possessed, will harm the Ummah or the State.” (Article 163 of the Draft Constitution), individuals can not, for example, own maize laboratories because their ownership leads to damage to individuals and to the State. It is no secret to us the suffering of the world under the capitalist system of destruction in all aspects of life, including health care and the pervasive corruption in the health insurance system and its companies, and pharmaceutical companies and research, thus, exploitation of these companies to doctors emerged, as well as the exploitation of these “doctors” to patients, making profit at the expense of people’s lives and health, that a person who does not possess money does not live, and that there is no cure and no medicine for the weak and the poor, and value is given to money and its owners first and foremost. This is what the Khilafah state fought against and prevented from happening. Gomar, one of Napoleon’s scholars during France’s campaign (1798-1801) to occupy Egypt, described the healthcare services and 600 year-old health facilities that he saw: “all sick people used to go the Bimaristan (i.e. hospital) poor and rich, without distinction. Doctors were hired from everywhere in the east, and they were well paid. There was a pharmacy stocked with medicine and instrumentations. Two nursing personnel were serving every patient. Those with psychological disorders were isolated in a separate section and were taken care of. They were entertained by storytelling among other things. Those who recovered (from either physical or psychological illness) would spend some time in the rehabilitation section. When discharged, each patient would be given five pieces of gold so the patient would not need to work as soon as he/she left”. Thus were the Muslims and others who lived under the rule of the Caliphate: a health care that never has the world witnessed anything like it, nor will it witness something like it again except under its shade and upon its return. 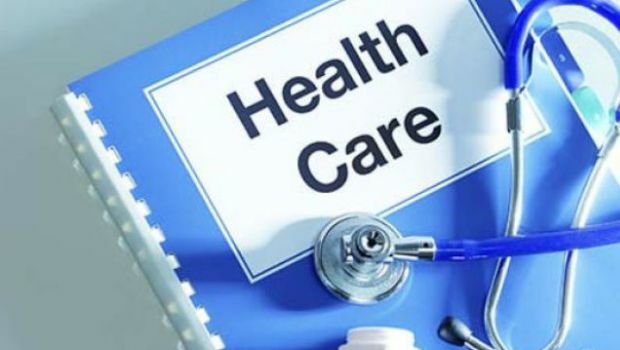 That is because health care is to ensure that the parish’s health is monitored, maintained and managed, thus ensuring both physical and psychological well-being, as well as prevention, follow-up and treatment of diseases in the event they occur. This is what Islam achieved by its rational doctrine (Aqeedah) and strong law (Shari’ah), spreading happiness and mental contempt in the hearts of those who embraced it and followed the guidance of their Lord. Islam has dazzled the world with its incomparable and unique care of people, which stems from the legitimate provisions (Ahkam Shar’iyah) that Allah (swt) has sent down as mercy to all humankind, it does not differentiate between rich and poor, or between a ruler and a citizen, and everyone fears Allah and seeks His pleasure for fear of His punishment. The patients’ halls “were either cooled down by using huge fans spanning from one side of the hall to the opposite side, or warmed up by burning perfumes…” The floors of these halls were “covered by branches of the henna or pomegranate trees or other aromatic trees” as mentioned by the French orientalist Prisse D’Avennes, reveal a distinct health system unique to the Khilafah State and that captured the world’s attention! Next PostQ&A: Seeking the Nusrah and in Which Stage is the Party Now?